This one and a half day seminar will begin in the classroom where you will learn about the powder coating process including technologies used to cure the powder. Attendees will also experience lab demonstrations of the processes learned in the classroom. Charles Robert Darwin, (12 February 1809 – 19 April 1882) was an English naturalist and geologist, best known for his contributions to evolutionary theory. He established that all species of life have descended over time from common ancestors. 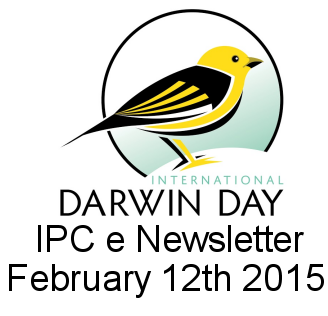 Welcome to the February 2015 edition of the IPC e-newsletter. The IPC e newsletter is distributed free to more than 4000 people around the world. 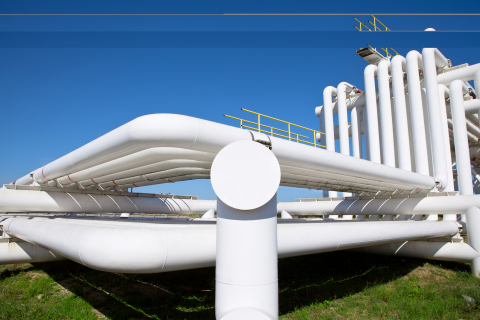 Future Of The Green Coatings Market worth $85.7 Billion by 2018- Global Trends & Forecast to 2018. Bayer MaterialScience, one of the leading players in polyurethanes (PU), has developed pentamethylene diisocyanate (PDI) - 70 percent of whose carbon content comes from biomass without generating any direct competition for food production. The company will introduce the new isocyanate at the European Coatings Show 2015 from April 21-23 in Nuremberg, Germany. A chemical spill at the Akzo Nobel plant in Huron caused a noticeable smell, but the chemical itself was contained at the plant and was successfully cleaned up, an official at the Erie County Health Department said Friday. The 21-gallon chemical leak occurred overnight early Thursday and did not get outside a designed containment area. The spill is being blamed on a pump failure at the plant, located at 300 Sprowl Road in Huron. Bob England, director of Environmental Health for the Erie County Health Department, identified the chemical as ethyl acrylate. He said the spill produced a pungent odor that could be detected up to three-quarters of a mile away from the plant, formerly known as the Glidden plant. "It's very volatile. It has a very low vapor pressure," England said. "It had the smell of acetone or nail polish remover. It was experienced in different locations based on wind direction." England said he did not believe the spill created a public health issue. All of it was contained on the property, and thus none leaked into a creek. All of it has been cleaned up, England said. He said the plant notified the Erie County Emergency Management Agency of the spill, and the EMA worked at the site with the Huron Fire Department and the Erie County Health Department. The health department said that ethyl acrylate is a chemical used in latex paint and many household products. Around 17+ years of experience of Paint shop and Powder coating. Falling crude prices means better days for paint makers, say experts. Well, don't expect price cuts by the industry players any time soon. Paint manufacturers opine that any downward revision in prices emerging out of lower crude prices, already down by as much as 50%, would accrue only after next 2-3 months as most of them are still carrying high cost inventories. Also, with oil prices widely expected to fall further - some predicting a level of $40 before bottoming out - pickup by the trade channel is being withheld, top officials of some of the paint companies said on the eve of Indian Paint Conference. "Many of our raw materials are imported and so most of us have 2-3 months of raw materials in the pipeline which are quite often procured at higher prices. Though I don't want to discuss our pricing action, if crude prices continue to fall there would anyway be paint price reduction," KBS Anand, managing director and CEO, Asian Paints said. "Price of end products would fall once our high-cost inventory is exhausted and we get the benefit of lower raw material prices. Since this is a highly competitive industry, we don't have the luxury of enjoying high gross margins for long. So, prices will fall but that will take a little bit of time," Abhijit Roy, managing director and CEO of Berger Paints. Raw materials like vinyl acetate monomer and Titanium dioxide, which accounts for 15-18% of the total purchase basket of a paint company, are derivatives of crude oil. DUBLIN — Research and Markets has announced the addition of the "Powder Coatings Market by Resin Type and by End-User Industries - Global Forecast to 2019" report to their offering. The global market size by value of powder coating was estimated to be $8,782.30 million in 2014 and is projected to grow at a CAGR of about 6.54% between 2014 and 2019. The data mentioned in the report are based on the global demand for powder coatings. A meeting of the Board of Directors of Berger Paints India Ltd will be held on January 30, 2015, to consider, the Company's Unaudited Financial Results for the quarter ended December 31, 2014 (Q3). Shares of BERGER PAINTS INDIA LTD. was last trading in BSE at Rs.438.1 as compared to the previous close of Rs. 452.25. The total number of shares traded during the day was 179859 in over 10330 trades. The stock hit an intraday high of Rs. 465.3 and intraday low of 436. The net turnover during the day was Rs. 81404574. NEW DELHI: Kansai Nerolac Paints has entered into a joint venture pact with Sri Lanka's Capital Holdings Maharaja Pvt Ltd.
Kansai Nerolac In an interview to CNBC-TV18, HM Baruka, managing director, Kansai Nerolac shares his views on the company’s Q3 performance. Sumaira: Can you take us through what your volume growth has been like for this quarter? Giving wings to its overseas expansion, paint major Asian Paints Limited has forayed into the Indonesian market by launching PT Asian Paints Indonesia. The new company is a wholly-owned subsidiary of Berger International Limited, Singapore, which in turn is an indirect subsidiary of the Asian Paints. Want to paint your home? Do it yourself. Indian paint companies would train you take up the brush. The industry is ready to help you colour up your cottage or flat or house. Apart from advising on colour schemes, some of the companies have started training workshops for consumers. Abhijit Roy, MD and CEO of Berger Paints India told Business Line that his company was conducting such sessions for the willing customers. The paint industry is trying to bring in the elements of colour and happiness in promoting demand for decorative paints. According to KBS Anand, MD and CEO of Asian Paints, the focus shifted to the homemaker and the kids -- the real consumers. BULLE, Switzerland--(Business Wire)--Axalta Coating Systems (NYSE: AXTA), a leading supplier of liquid and powder coatings, has received certification in accordance with NSF/ANSI 61: Drinking Water System Components – Health Effects standards for its Abcite® thermoplastic powder coatings, which are used in a wide variety of industrial applications including pipes and fittings for drinking water systems. NSF International is a global independent public health and environmental organization responsible for standards development, as well as product testing and certification. NSF/ANSI 61 addresses the safety of products used in drinking water systems, with particular focus on potential adverse health effects. BASF India Ltd had announced the transfer of the import and distribution business of Glasurit, an automotive refinish paint brand to Wurth India Private Limited. BASF India Ltd has signed the Business Transfer Agreement with Wurth India Private Limited to transfer its import and distribution business of Glasurit�, an automotive refinish paint brand in India, with effect from February 01, 2015. We invested in India when not many companies believed in India"
Global chemical giant BASF has identified Asia Pacific as its major thrust area and plans to invest 10 billion euros in the region by 2020 with a portion of this dedicated to its Indian operations. In India, it announced a Rs 1,000 crore investment in Dahej and is establishing an R&D facility in Mumbai, its second in Asia. Several industry players including BASF have announced big ticket investments in India. Is the confidence and the buzz back in the sector? Clearly there is a lot of positivity in India and about India outside with all the changes that have happened. So I guess that is probably triggering this. But BASF always believed there is a big market here and we believe in the long term. We invested Rs.1,000 crore in Dahej at a time when not many companies believed in India and so did not invest. So that is a testimony as to how we look at this market. BASF straddles almost all segments of the chemicals industry. Is there any particular area in India that you would focus on? We have essentially 13 businesses divided into four segments — basic chemicals, and performance chemicals, . The third is functional materials like construction chemicals — polyurethane, engineering plastics including catalytic converters which improve functionality. 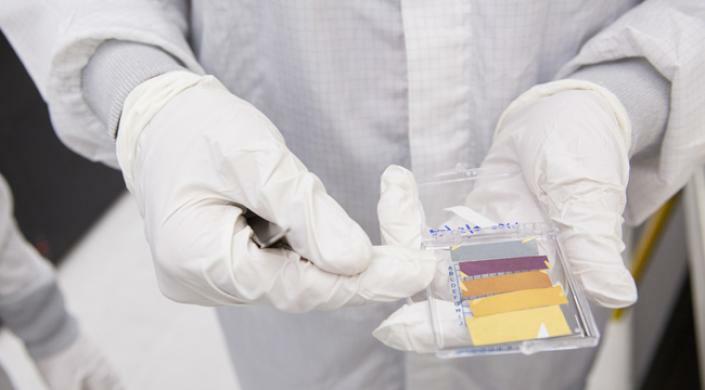 Discovering a new way to create colorful coatings using minimal materials required a mixture of applied physics and “arts and crafts,” Kats jokes. The coatings could be used on fabrics and other flexible materials, or incorporated into optoelectronic devices like solar cells. Kats has taken a sheet of paper from his cleanroom notebook, coated it in about 30 nanometers of gold, and pinned a paper stencil on top of it. The silver-colored germanium (pictured at right) is ready for application. Kats will use an electron-beam evaporator in the cleanroom at the Center for Nanoscale Systems. The machine can be used to perform thin-film deposition of many different materials. “This is one of the most practical, easy-to-use tools,” he says. Kats mounts the paper sample upside-down in the electron-beam evaporator. Atoms of germanium will be deposited on it from below. The germanium will only land on the exposed areas; beneath the stencil, the paper will remain gold. The paper sample is mounted near the top of the chamber. Below it, a carbon crucible holds a piece of germanium where a high-powered stream of electrons will bombard it. Various probes within the chamber provide information about the air pressure and deposition rate. Shopping malls, theatres, and other closed public places, which are vulnerable to fire, can be made fire-resistant by using the compound. Rocket science has found a new trajectory in daily life. A low-cost, fire-retardant material developed by the Indian Space Research Organisation (ISRO) to protect the fuel tanks of the Polar Satellite Launch Vehicle may soon safeguard railway coaches, buildings, and vehicles. It is christened CASPOL. It is a water-based, ready-to-coat, and easy-to-use flame-proof coating. It has flame-retardant and thermal-control properties. It can be applied on walls, clothes, paper, thatched roofs, wood, and other materials. The new compound contains no toxic materials and is eco-friendly, ISRO sources say. The emulsion can be sprayed or spread using a brush on surfaces. One litre of the compound can coat 1.5 sq m, with a thickness of 500 microns. This is adequate for fire protection and thermal insulation, sources say. The compound can also be used as a flame-retardant material for railway coaches and automobiles. ISRO says seats can be made flame-proof without affecting the cushioning characteristics. Law360, Los Angeles (January 26, 2015, 10:48 PM ET) -- A Delaware federal judge on Monday ruled in favor of Dow Chemical Co. in a suit filed by Dutch paint giant Akzo Nobel NV, which had accused Dow of stealing its patented high-temperature method for creating polymer dispersions. The brief order granted Dow’s motion for summary judgment of noninfringement and settled seven phrases in the disputed claim language for U.S. Patent Number 6,767,956, owned by Akzo. At the European Coatings Show from 21-23 April, 2015 in Nuremberg, Germany, Bayer MaterialScience is presenting new polyaspartic raw materials for solvent-free coating formulations that can be applied with a roller. < According to Bayer, these coatings are so flexible that they can even bridge cracks that have formed in concrete. This property is particularly important for floor coating applications in the outdoor areas of buildings. " In applications like this, cracks can form over time if the concrete dries out and shrinks, for instance, or if the ground moves," said Karl H. Wührer, Head of Development for Structural Coatings at Bayer MaterialScience. Bayer says, without a protective coating, moisture can penetrate the concrete and cause frost damage. Balconies, roof gardens and loggias are also exposed to sunlight and weathering<more>. In the past few years, anti-reflective coatings have advanced as an effective reflection and glare reducing coating in electrical and optical applications. Anti-reflective coatings arrest the unwanted reflections from surfaces, thus increasing visibility. These coatings eliminate back-glare, which is one of the most common problems associated with eyeglasses and sunglasses. Most anti-reflective coatings exhibit features such as high transmittance and low reflectance. The coatings have gained significant importance in the electronics and solar industry owing to their features. Some of the materials used in manufacturing lenses and eyeglasses have high surface reflection, and anti-reflective coatings helps to reduce these reflections. Based on end-users, the market for anti-reflective coatings is classified as eyewear, electronics, solar, automobile, and telecommunication among others. The market for anti-reflective coatings is mainly driven by the growing demand from the eyewear and electronics industry. Anti-reflective coatings are applied on eyeglasses, lenses, flat panel displays, touch screens and smartphone displays among others. Anti-reflective coatings can be used on a wide range of substrates such as glass, sapphire, quartz, and Yttrium aluminium garnet (YaG). Moreover, these coatings find applications in binocular lenses, kiosk displays, telescopes, riflescopes and video glasses. Increasing demand from the solar and telecommunication industry is likely to provide better opportunities for the anti-reflective coatings market over the forecast period. However, poor consumer awareness and usability issues, coupled with environmental regulations associated with the raw materials are expected to hinder market growth over the next few years. Save the Date for the 2015 Powder Coating Show! Brought to you by The Powder Coating Institute, the 2015 POWDER COATING show, scheduled for May 6-7 in Louisville, Kentucky, is the ONLY tradeshow solely dedicated to the Powder Coating Industry in North America! Formed on May 1, 1981, as a non-profit organization, PCI works to advance the utilization of powder coating as an economical, non-polluting and high quality finish for your industrial and consumer products. Parts cleaning: as clean as necessary, as efficient as possible– Increasing quality and efficiency with optimal cleaning solutions– parts2clean presents the latest technology and trendsStuttgart/Hannover, Germany. Cleaning parts and surfaces costs money – just how much money depends on the required result. Whether the job is simple degreasing or rather cleaning to meet strict technical requirements, achieving the necessary quality quickly, reliably and economically involves factors which go beyond the cleaning method used, including the selection of the proper cleaning media and containers and subjects like bath maintenance and packaging of the cleaned parts. You can explore all these aspects at parts2clean at the Stuttgart exhibition center from 9 to 11 June 2015. “Whether we’re talking about the automotive industry and related suppliers, medical equipment, aeronautics, precision engineering, optics or electronics –today virtually every sector has strict requirements for component cleanliness, and this places significantly higher demands on cleaning,” says Olaf Daebler, in charge of the parts2clean show at Deutsche Messe. To play it safe, an “as-clean-as-possible” approach is frequently taken, which has an impact on cost and therefore on competitiveness. The remedy is to take a suitable cleaning approach that meets all requirements and to optimize cleaning results while reducing costs. “As the flagship trade fair for its sector, parts2clean presents a comprehensive scope of products and services that address every aspect of industrial parts cleaning, from systems and media to bath maintenance, analytics for cleanliness control, corrosion prevention, protection and packaging,” explains Daebler. Fine-tuning cleaning processes for reliability and efficiency Wet chemical cleaning processes are the method of choice for the majority of industrial cleaning tasks. Here the dissolving capacity of the chosen cleaning media has a decisive impact on operating costs, quality and the stability of the cleaning process. The core principle that applies to media selection is “like dissolves like.” This means that solvents are normally used to remove oil- based (non-polar) contaminants such as cutting oils, grease and wax. Aqueous cleaners are generally used to remove water-based (polar) contaminants such as cooling and lubricating emulsions, polishing compounds, additives, salts, abrasion and other solids. Modified alcohols with balanced oil- and water-solubility are able to remove both non-polar and polar contaminants. What materials are being treated? At what point in production do the parts get contaminated, and with what? Must this contamination be removed immediately, e.g. to ensure proper results in the next processing step? Does processing involve a variety of materials that can lead to cleaning problems if they are mixed? Does the cleaning of parts made of various materials such as aluminum, steel, titanium, carbide or ceramic create a risk of cross-contamination in the given facility? The answers to these questions can be used to arrive at a cleaning solution capable of optimizing both costs and results. The parts basket or workpiece carrier also has a major impact on the cost and quality of the cleaning process. Effective filtration and separation systems such as oil separators, particle filters and membrane filters, as well as water treatment and in the case of solvents distillation capacity, also help to prolong bath service life and reduce disposal costs. For water-based media, continuous monitoring of cleaning agent concentration ensures that baths are not changed too quickly due to safety concerns, but instead only when insufficient component cleanliness can lead to problems in subsequent process stages. As the only trade fair in the world focusing exclusively on industrial parts and surface cleaning, parts2clean not only reflects today’s market in its entirety, but also offers lots of added value in terms of its parallel three-day forum. Lectures on a wide variety of industrial parts and surface cleaning topics will be simultaneously translated (German-English/English-German). The next surface technology fair in Germany is SurfaceTechnology at HANNOVER MESSE from 13 to 17 April 2015. The next parts2clean is scheduled from 9 to 11 June 2015 in Stuttgart, Germany. O&S and parts2clean 2016 are planned to run from 31 May to 2 June. Upcoming fairs abroad with a surface technology component are SurfaceTreatment EURASIA with a parts2clean pavilion from 12 to 15 February 2015 in Istanbul, Turkey, and also the very first Surface Technology NORTH AMERICA (parallel to IMTS) from 12 to 17 September 2016. Mr Goh Cheng Liang, founder of Nippon Paint South-East Asia Group, is Singapore's richest man with a US$8.2 billion (S$10.8 billion) fortune, putting him ahead of Mr Wee Cho Yaw, the largest shareholder of United Overseas Bank and the city's second richest with a US$6.9 billion fortune. Mr Goh Cheng Liang, founder of Nippon Paint South-East Asia Group (Nipsea), is Singapore's richest man with a US$8.2 billion (S$10.8 billion) fortune, according to a Bloomberg report out on Monday (Jan 19).